Humans are the only known astronomers in the universe. When we look up at the night sky, we are linked to our ancestors. Away from city lights, we can see what generations of people before us have wondered at and weaved stories around. But all that will change. The Andromeda Galaxy is rushing towards us at 400,000 kilometres an hour. 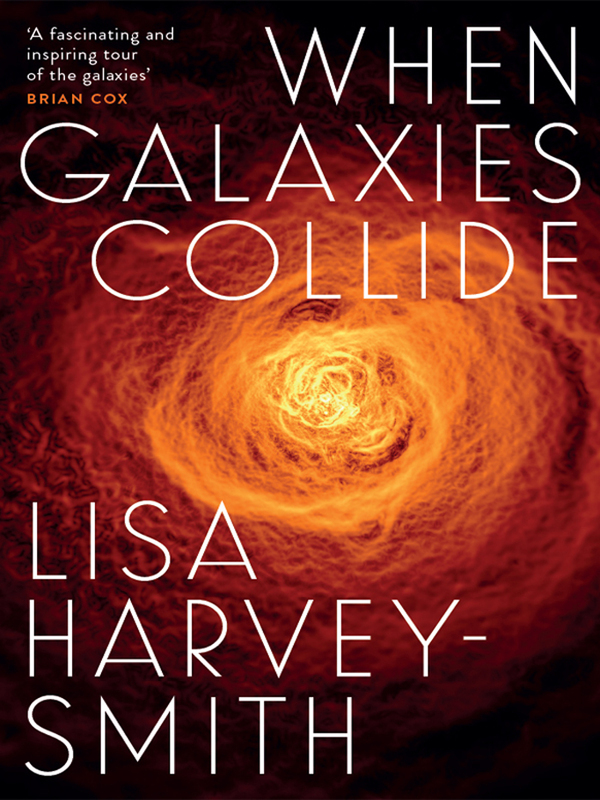 When Galaxies Collide will guide you to look at the night sky afresh. It peers 5.86 billion years into the future to consider the fate of Earth and its inhabitants. Will the solution be to live in space without a planet to call home? Will one of the other 100 billion planets spawn life? Learn how to watch this space. * 9,000, but only half of that from any given point on Earth. ** 38,000 degrees vs 3,000."